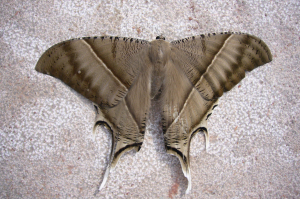 Observation - Unidentified moth - Global. Description: Body about 2 inches (5 cm) long. Hundreds were dying en masse. Body about 2 inches (5 cm) long. Hundreds were dying en masse.